We will be closed on Thursday, July 4, for the Independence Day holiday. The Northern State River Run 10th Anniversary Party on the River is Wednesday, September 11, through Saturday, September 14. There are 13 shops participating and every shop will have a fun party theme and will be open from 9:00am to 7:00pm each day. There are lots of fabulous prizes, including a grand prize of a Bernina 350 sewing machine and thirteen first prizes of a $100 gift certificate from one of the participating shops! And....there will be a 15% discount on regularly priced fabric, notions, books, and patterns at each store! So mark your calendar, get a group of your quilting friends together, and start making plans! Our 4th Annual Anniversary Sale will be Friday-Saturday, June 29-30. Yes, I've had the shop for 4 years now, and it's time to celebrate! There will be many discounts, prizes, and lots of fun. More details in next week's newsletter. We have two new flannel collections...one for the kids and one for adults. 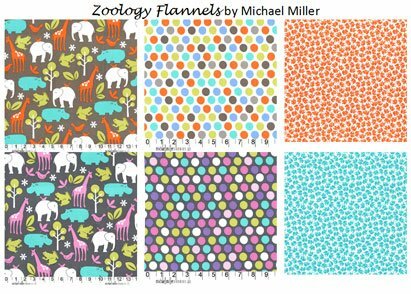 We've had the Zoology collection before, and now it's in two new colorways. It's great for making a simple quilt for that special child. 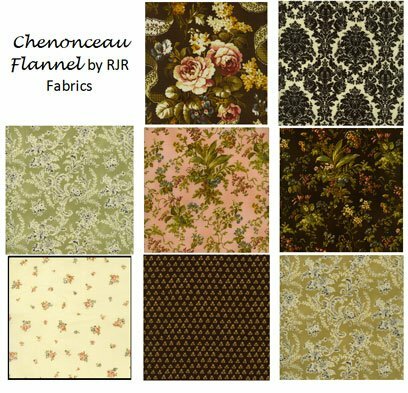 Chenonceau will be beautiful in either a simple rag quilt or a more complex pieced quilt. If you know a child that likes fire trucks and/or puppies, "All Fired Up" will make a great quilt, pillowcase, pajamas, and more! 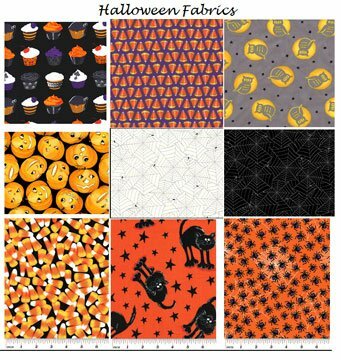 And, our Halloween fabric selection keeps growing. Here are some samples. And, we're always adding to our basics and batiks, and we always have lots of sale fabrics at 50% off! Gardener's Alphabet BOM, Mon, June 17, 9:00 a.m. - noon. Provence & Beyond BOM, Thu, June 20, 6:00 - 7:00 p.m.
Blankets for Preemies, Fri, June 21, 11:00 a.m. - 3:00 p.m.
-OR- Tue, June 24, 1:00 - 4:00 p.m.
Hand Piecing, Tue, June 25, 9:00 - 11:00 a.m.
American Girl Doll Sit & Sew, Wed, June 26, 1:00 - 4:00 p.m. Maintain Your Bernina, Janome or Any Model!, Susan Berbec, Sun, June 23, Noon – 3:00 p.m., $20 fee, supply list. Are you intimidated by the thought of cleaning and lubricating your sewing machine? You shouldn’t be. It’s really very easy and very logical. We will get out the lint, take steps to retard lint build-up and put oil where it’s needed. Please wear your grubbies or a generous apron for this class. We don’t want to get oil, grease or great gobs of goo on your Sunday-Go-to-Meeting clothes. Regardless of what you wear, you will go home with lint in your hair. This class is not a substitute for a full service by a qualified technician. You will learn to maintain your machine in peak condition between services. Sue Spargo's Felted Wool Needle Case, Judy Cummings, Thu, June 27 and July 11, 9:00 a.m. - noon, -OR- Sat, July 6 and July 27, 1:30 - 4:30 p.m., $20, supply list. Have you seen all of our beautiful felted wool sample projects and wanted to learn the techniques used to make these pieces? This is the class for you! In these two sessions, you'll learn how to applique wool pieces to a wool background and then Judy will teach several beautiful, simple embellishment techniques. And, you'll have a unique, usable needle case! Kits will be available for purchase.